Request your free initial consultation. in the United States (U.S., USA), the United Kingdom (U.K.), Canada or elsewhere in the world. During and after the doctoral or LL.M. application and admissions process, our distinguished team of experienced application consultants will provide reliable and sound advice and fully support you in every desired way. We truly understand the needs of international as well as national LL.M. and doctoral applicants and are committed to helping you reach your goals. Let us work together and be your LL.M. guide to success. We are a uniquely qualified team of experienced LL.M. and doctoral application and admissions consultants. Our team members hold elite LL.M. and S.J.D. degrees and sat themselves on admissions committees in the USA, the UK, and Canada. Our double expertise will immensely benefit your application and give it the boost it needs. Is your goal to enroll in an LL.M. or doctoral program at Harvard, Stanford, Columbia, NYU, Berkeley, Georgetown, Chicago, Oxford, Cambridge, LSE, or other top law schools? If so, you will need the right strategy. We help select the degree programs that provide the best fit for your specific needs and develop the strategies that maximize your success. We offer support with developing LL.M. personal statements (LL.M. statements of purpose, LL.M. essays) that emphasize your unique qualities and will help you connect with admissions committees. We also guide S.J.D., J.S.D., and Ph.D. applicants through the process of crafting eloquent and convincing doctoral research proposals. Law school resumes (cv) are different from other resumes. We will assist you with writing effective LL.M. or doctoral resumes to support your application. Let us highlight your strengths and help detail the qualities that graduate program admissions committees are looking for. LL.M. reference letters and doctoral reference letters can make or break an application. 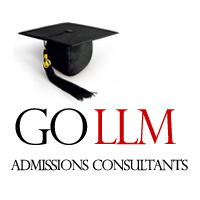 Our team provides advice on how to select your LL.M. or doctoral references and the topics that their letters should cover. This ensures that your application is supported by strong letters of recommendation. A firm global outlook allows us to understand and effectively address the specific needs of international applicants. Our application consultants have worked in a variety of different countries – including the U.S., U.K., Canada, and in mainland Europe – and are fluent in at least two languages.